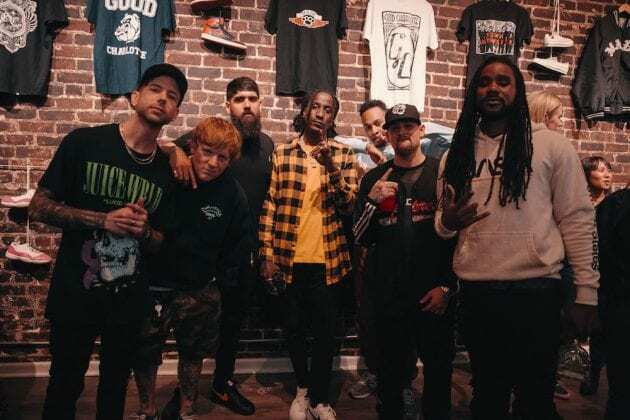 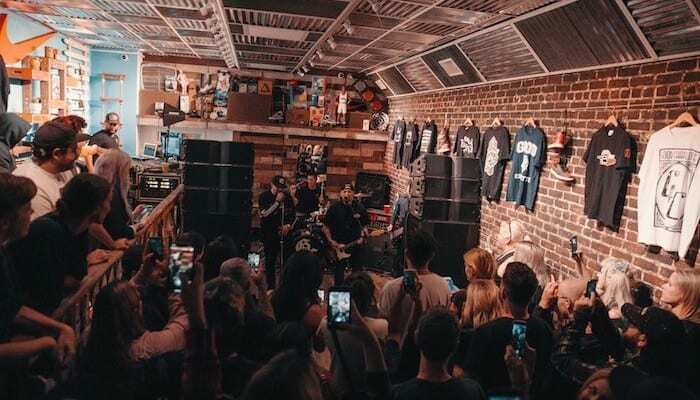 Good Charlotte played a secret show with support from Emo Nite LA (and Awsten Knight) at Round Two clothing store in Los Angeles. 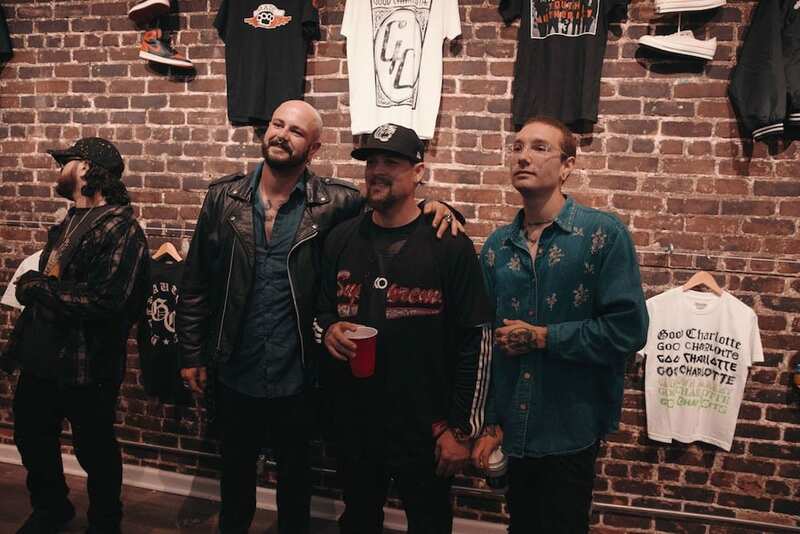 Good Charlotte are gearing up for the release of their next full-length Generation RX this Friday, Sept. 14, and they celebrated in style (literally) by throwing a secret show at Los Angeles clothing store Round Two Wednesday night. 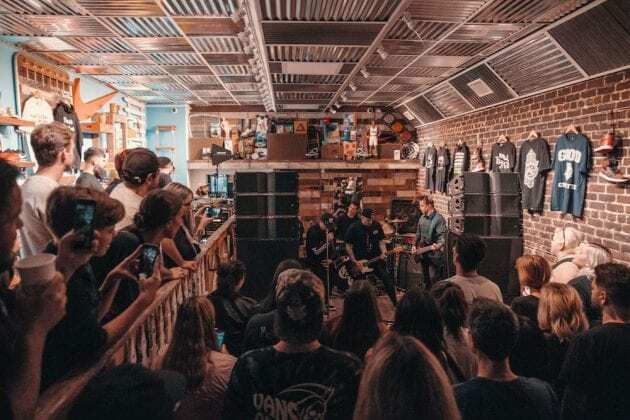 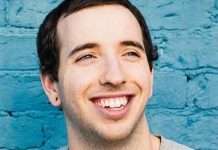 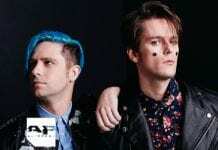 Emo Nite LA opened the show (with assistance from Waterparks’ Awsten Knight on their air horn soundboard) before the band took to the stage to perform for an intimate crowd of 75 fans. With vintage Good Charlotte gear adorning the walls and free pizza, honestly, what could be better? 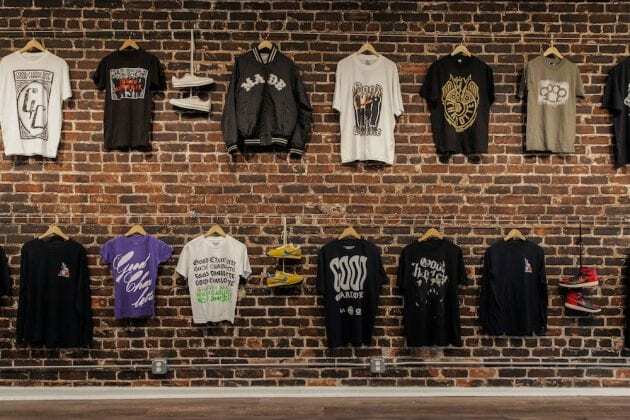 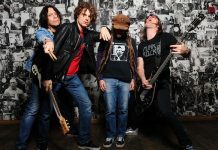 Vintage Good Charlotte gear adorns the walls of Round Two in Los Angeles. 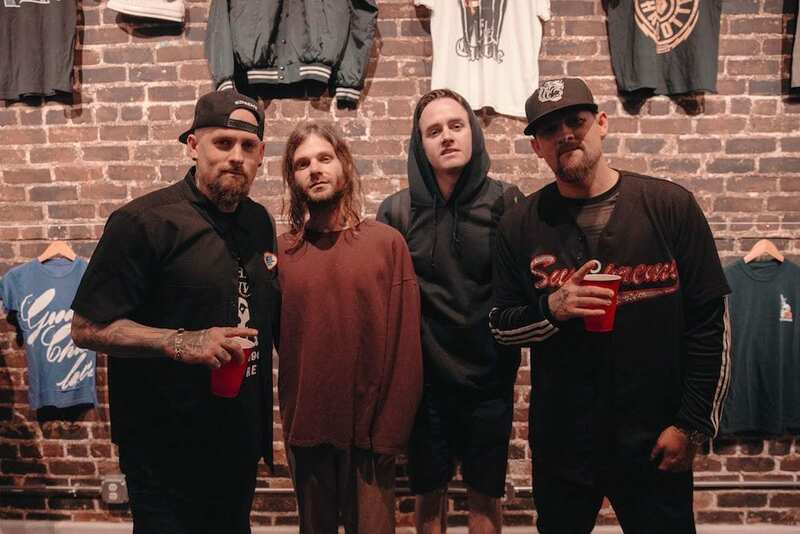 Benji and Joel Madden pose with Morgan Freed and T.J. Petracca of Emo Nite LA. 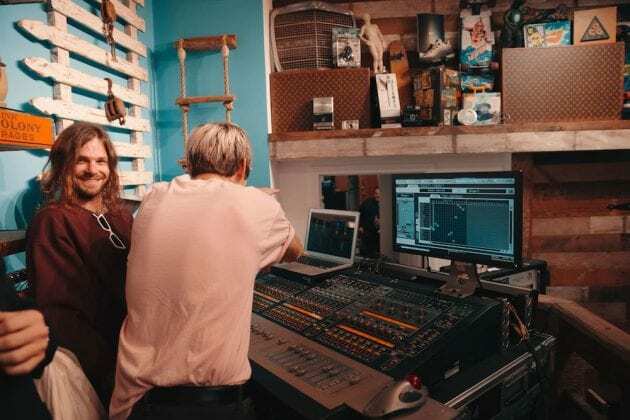 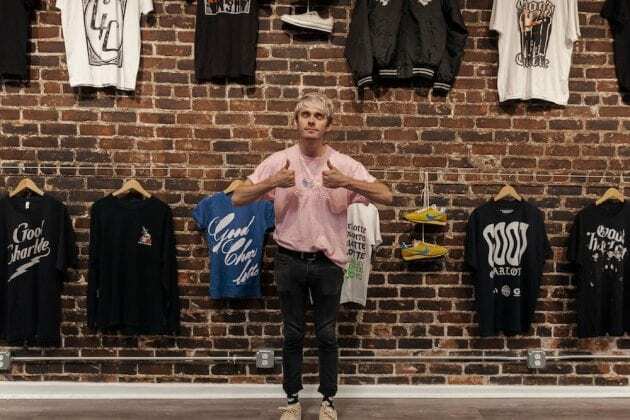 Waterparks' Awsten Knight assists Emo Nite LA with their air horn soundboard. Joel Madden poses with Being As An Ocean's Joel Quartuccio and Ralph Sica. 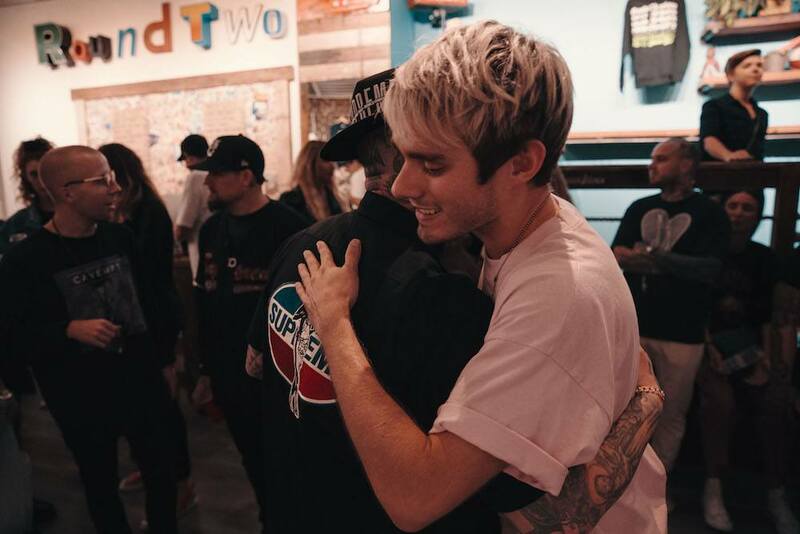 Awsten Knight hugs it out with Benji Madden. 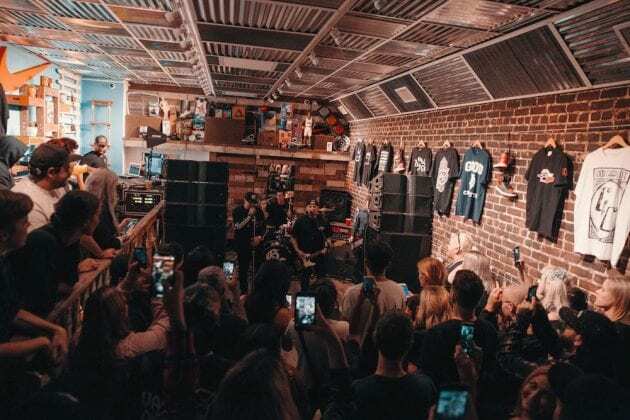 Good Charlotte performs a secret show at Round Two clothing store in Los Angeles. 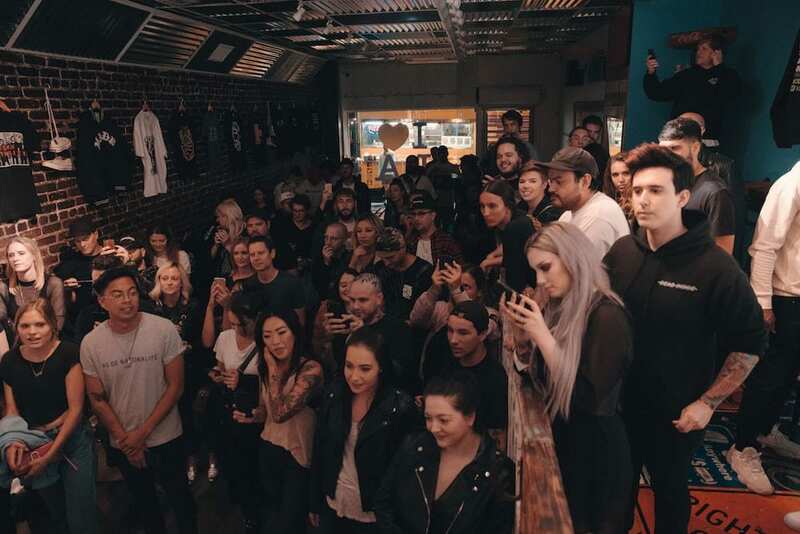 The crowd watches as Good Charlotte performs a secret show at Round Two clothing store in Los Angeles. Awsten Knight poses in front of the wall adorning several pieces of vintage Good Charlotte gear. [Left to right:] Billy Martin, Josh Madden, Naveed Hassan, K Camp, True Story Gee, Joel Madden, and Bobby Kritical. 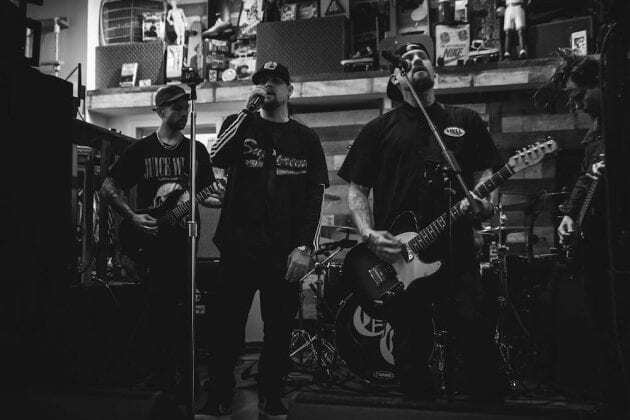 Good Charlotte will be hitting the road this fall with support from Sleeping With Sirens, Knuckle Puck and the Dose, and tickets are on sale now.